A portfolio with style! 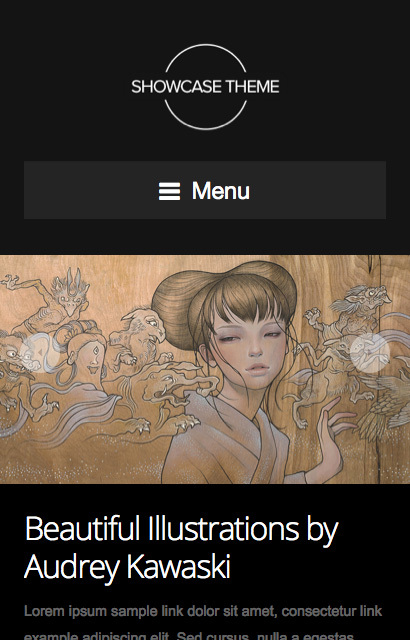 Showcase is a sleek solution for artists, designers, photographers, animators and more. Showcase is perfect for displaying artwork and video in a beautifully simple and unique layout. The minimal design and clean typography allows the viewer to focus on the artwork free of distractions. Showcase features a custom post type for creating portfolio projects, and the option to display a filterable portfolio on the home page. In addition, the theme provides an option to center or left align the entire site. The theme is constructed from our Seed framework — featuring a responsive grid, retina optimization, a variety of page templates, shortcodes, featured videos, WooCommerce and Gravity Forms compatibility and much more. A minimal yet powerful portfolio solution, Showcase is sure to satisfy. 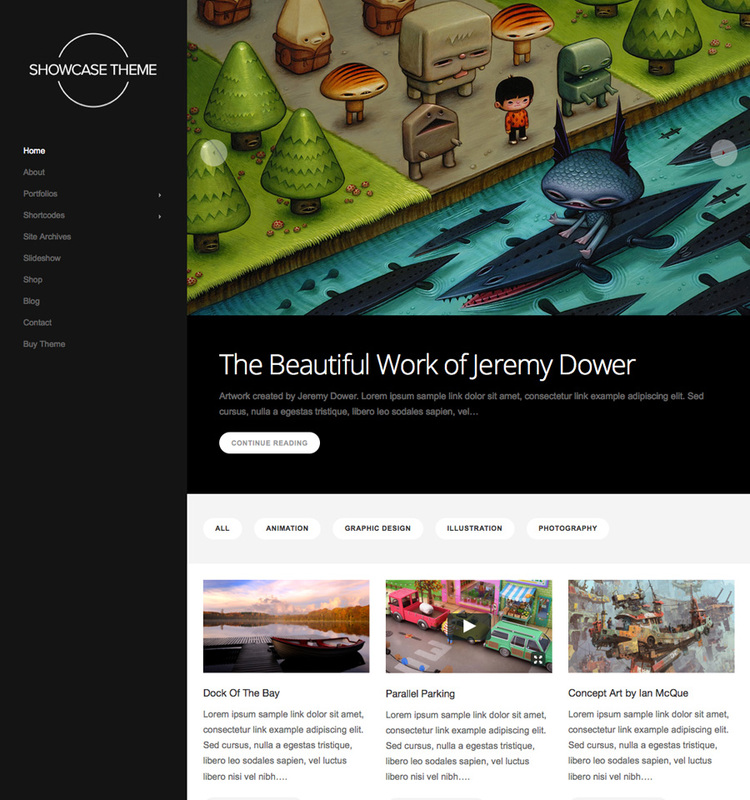 Start building your website with the Showcase Theme!